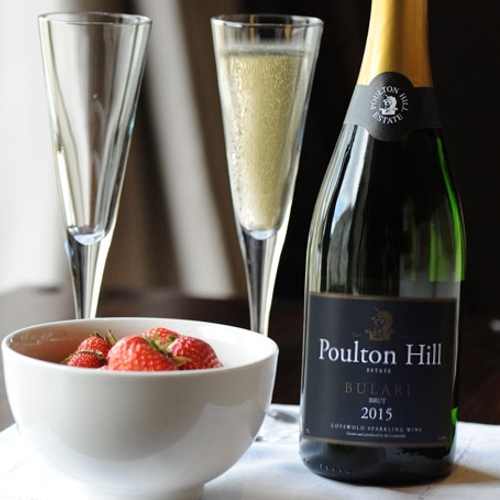 Poulton Hill Estate has trademark registered ‘Bulari’ (a variation of the Latin for bubbles) as a generic term to describe English sparkling wine. English sparkling wine producers have been searching for a catchy name to signify prestige and reflect ever-increasing quality for years now. The use of the Latin term Bulari reflects the fact that vines for wine-making were first introduced to Britain by the Romans.  Poulton Hill Estate’s Cotswold sparkling wine 2012 has netted a host of awards including Bronze Awards from the South West Vineyards Association, and the UK Vineyards Association English and Welsh Wine of the Year Competition 2015 and 2016, featured at the Cotswold Life Food and Drink Awards 2015 and won the sparkling wine, over £10, category at the Quality Drinks Awards 2016. As a recognition of this quality and success, Poulton Hill Estate’s award-wining sparkling white and rose wines will now be labelled Bulari. High-quality English sparkling wine producers, who meet the same strict production criteria for making English sparkling wines, will also be able to use the term under license. Our growing range of quality English wines and spirits is getting attention…has it got yours?